CLEVELAND — A palm-sized section of a braincase is the first Denisovan skull fossil ever found. 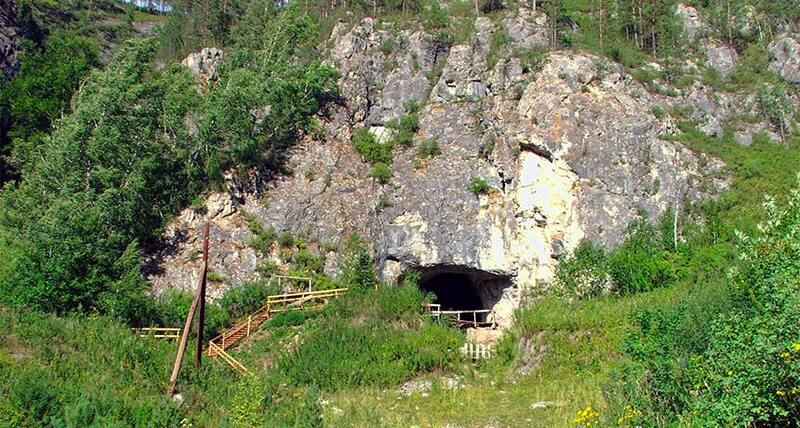 Discovered in two pieces in Siberia’s Denisova Cave in August 2016, the find joins only a handful of fragmentary fossils from these mysterious, extinct hominids. Mitochondrial DNA, a type of genetic material typically inherited from the mother, extracted from the skull pegged it as Denisovan, paleoanthropologist Bence Viola said March 28 at the annual meeting of the American Association of Physical Anthropologists. Viola’s presentation was one of several at the meeting that raised new questions about these Neandertal relatives — including how recently they existed — who are known only from previous discoveries in Denisova Cave. A decade ago, a tiny part of a finger bone yielded Denisovan DNA that proved crucial to identifying the Stone Age population. Sediment analyses indicate that Denisovans periodically inhabited Denisova Cave from around 300,000 to 50,000 years ago, with Neandertals reaching the cave after around 200,000 years ago (SN: 3/2/19, p. 11). But little else is known about Denisovans’ evolutionary history or identity. It’s long been unclear, for instance, if Denisovans belonged to a distinct Homo species. And most researchers say that the new evidence is still not enough to resolve that mystery. “We’re a long way from solving the species question about Denisovans,” said paleoanthropologist Chris Stringer of the Natural History Museum in London, who gave a talk at the meeting on what’s known about the group. Viola, of the University of Toronto, and his colleagues compared a digital reconstruction of the skull fragment with corresponding parts of 112 present-day human skulls and 30 Stone Age Homo skulls, including Homo sapiens and Neandertals. The Denisovan find didn’t fit neatly into any previously known Homo species. Some features linked the Denisovan fossil to Neandertals and to a 430,000-year-old Spanish Homo species that had Denisovan ancestry (SN: 12/28/13, p. 8). The Denisovan skull fragment is surprisingly thick, more like cranial bones of Stone Age Homo erectus, Viola said. Such evidence is tough to interpret at this point, paleoanthropologist María Martinón-Torres of University College London said at the meeting. Interbreeding of closely related populations, such as Denisovans, Neandertals and H. sapiens, generates novel skeletal features that can obscure what started out as, say, a distinctive Denisovan look, she suggested. Whatever evolutionary niche these mysterious hominids occupied, at least three separate Denisovan populations interbred with ancient humans, population geneticist Murray Cox of Massey University in Palmerston North, New Zealand, also reported at the meeting. Genetic remnants of two of those populations appear in modern aboriginal groups in Papua New Guinea, Cox and his colleagues found. People on Papua New Guinea interbred with one genetically distinct Denisovan population around 46,000 years ago, the scientists estimate. Interbreeding with a second line of Denisovans took place by about 30,000 years ago and possibly as recently as 15,000 years ago. If the latter estimate proves correct in further studies, “Denisovans were the last surviving hominids who were not Homo sapiens,” Cox said. Those last survivors likely inhabited Papua New Guinea or a nearby island, he added. The team probed about 3,000 DNA samples, obtained from around 100 communities on Papua New Guinea and other Southeast Asian islands, for molecular signs of interbreeding with Denisovans. The new DNA analyses suggest that some now living on Papua New Guinea and nearby islands carry roughly 400 Denisovan genes involved in immune and dietary functions. Denisovan DNA previously identified in present-day Siberians, East Asians and Native Americans does not occur in island Southeast Asia and thus represents a third Denisovan line, the researchers found. “We had no idea there were different Denisovan populations on Southeast Asian islands until now,” paleoanthropologist John Hawks of the University of Wisconsin–Madison said at the meeting. Further Denisovan populations may emerge from ongoing DNA studies of people in the Philippines, he predicted.